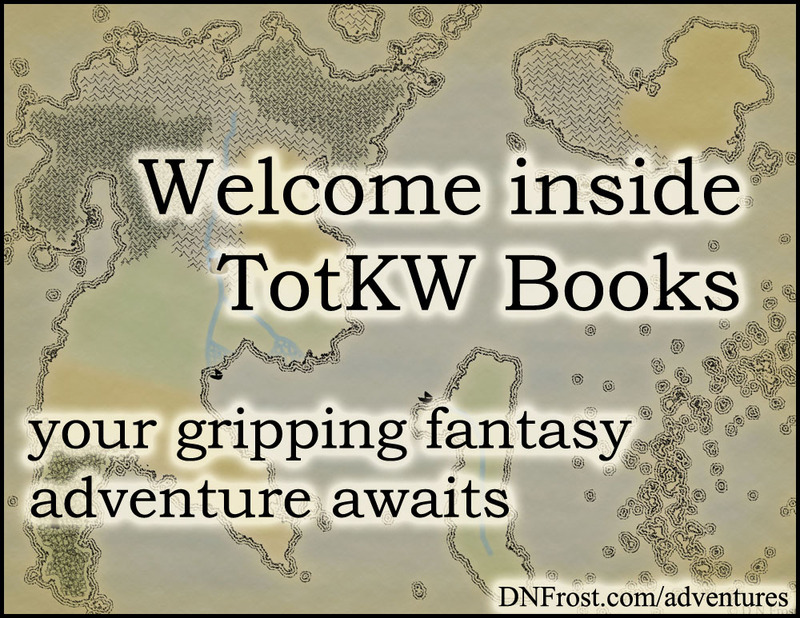 This post is Part 4 of a series to augment the Book Reviews by D.N.Frost available for free download. Start with Part 1 here. To earn four stars, a great story must surprise me with something I didn't see coming. Darkmage by M.L. Spencer is Book Two of The Rhenwars Saga, an epic fantasy saga that spans two realms and over a thousand years. Though billed as Book Two in the series, this is Spencer's debut novel, published first though not first chronologically. I received a free PDF ebook of this novel in exchange for an honest review, and I first connected with M.L. Spencer when I reviewed Book One in Part 1 of this series. This is the story of a man who's lost everything, a raw descent into madness, heroism, and sacrifice. With duty and the letter of the law at bitter odds, this honest man must do something so hard, it devours him. Grotesquely genuine, this artful story explores the tortures of a hard-pressed hero who must become evil so he can destroy evil itself. His redemption is his own damnation, and his ethical struggles resolve with bittersweet satisfaction. Spencer's work is potent, savage, and unique in its examination of the human condition. Returning home after two years in exile, acolyte mage Darien Lauchlin receives his magic powers mere moments before the city is destroyed in an act of heinous betrayal. 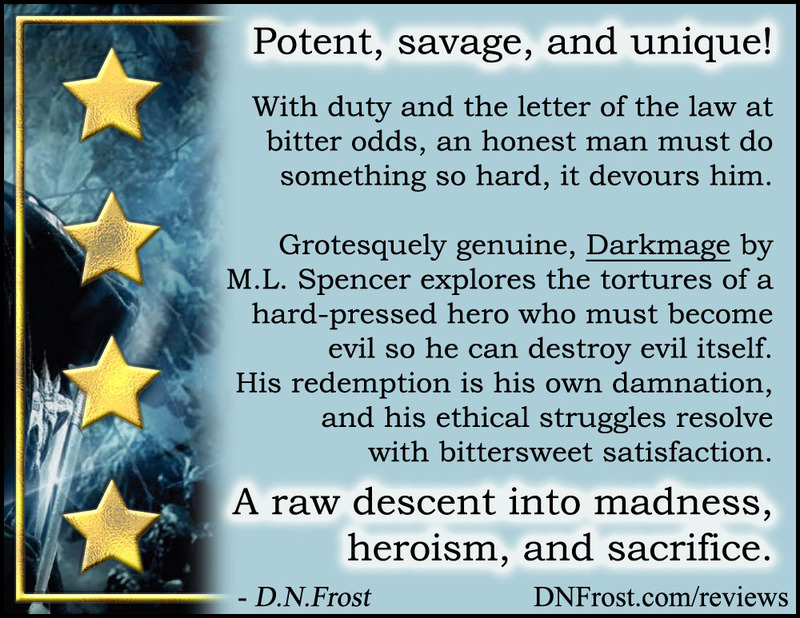 Driven by ever more dire threats to his homeland, Darien must shoulder the terrible burdens of his station, alone in a world rife with suspicion and abomination. His ultimate end: to seal a deadly portal by surrendering his own soul to the Netherworld. Staring down this infernal eternity, Darien struggles with grief, ethics, and ultimately his own humanity as he fights to save a homeland he no longer deserves to be part of. As with Spencer's Book One, this novel was a pleasure to read. The manuscript was polished, descriptive and engaging. Spencer's writing style continues to bring to life her fantasy world with exquisite detail. Spencer paints her world with deft strokes and has an especial knack for describing the natural surroundings of each scene. Stormy skies, brilliant sunlight, sweeping prairie, and sere mountain views formed the anchor within which Spencer's unfolding plot came to life. Both Spencer's novels so far have explored the boundless gray areas between right and wrong, and how much the human spirit can endure while navigating those tricky and unrewarding waters. I loved Darien's character the whole way through, and I'm impressed with the way he evolved from a swarthy acolyte in love to a responsible and potent mage determined to save his homeland from destruction. But when it came time for Darien's final turn from responsibility into depravity, the change felt somewhat sudden, though not as sudden as the character changes I noted in my Book One review. Darien's shifts in personality were well-primed and inevitable. They felt justified, necessary, even reasonable. But there's always something painful about a beloved character slipping into the tarnished depths of amorality. Like any defining moment, Darien's turning point felt too brief, too haphazard, too irrevocably final. But despite the change and its inherent suddenness, I still loved Darien all the same. Another parallel I noticed between both Spencer's novels was the way she crafted each story's opening. In the prologue of each book, a character dies, the death sending ripples of implication throughout the rest of the story. Though a thousand years apart, the start of each book also depicts a similar scene - a stormy night in a mountain city, and a woman alone in the rain. Even the women's names seem similar, Meiran in this novel and Merris in Book One. Of course, parallels like this are intentional, and I found myself contemplating Spencer's reasons. The stories of both books are a thousand years distant from each other, and yet the stories were instantly correlated, connected in some transcendent way. I cannot attest to what she hoped to achieve, but for me, this sense of continuity established an expectation as I read, the expectation that the stories would somehow continue to be correlated as Book Two progressed. What a great delivery! Book Two maintained that sense of connection to Spencer's first book as the story unfolded. Not only did the events of Book One have an impact on the events of Book Two, but even some of the long-dead characters from Book One made appearances, otherworldly and imminently crucial to the tale at hand. Whether or not this sense of connection was Spencer's intention as she crafted her books, I can say that it enhanced my enjoyment of this book, and it also enhanced my appreciation of Book One. 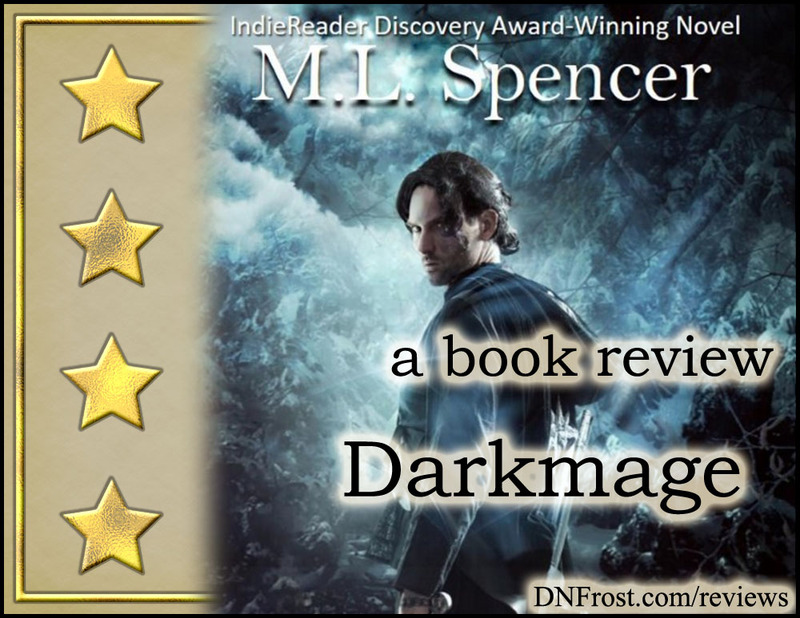 While the plot of Spencer's saga focuses on apocalyptic dangers and the hard-pressed souls who must avert those dangers, aspects of her fantasy world are reminiscent of the Game of Thrones series. In Darkmage, Greystone Keep stood for five hundred years at the Front, holding the Pass of Lor-Gamorth against the invasions of the chaotic Enemy who dwell in the Black Lands. Fans of George R.R. Martin may notice parallels to the icy Wall that barricades the chilling Others of the north, and fans may sense the sworn fraternity of his Black Brothers within Spencer's men of Greystone. In addition to these features of Spencer's world, her story is one of mortal anguish and political intrigue, themes omnipresent in the Game of Thrones series. 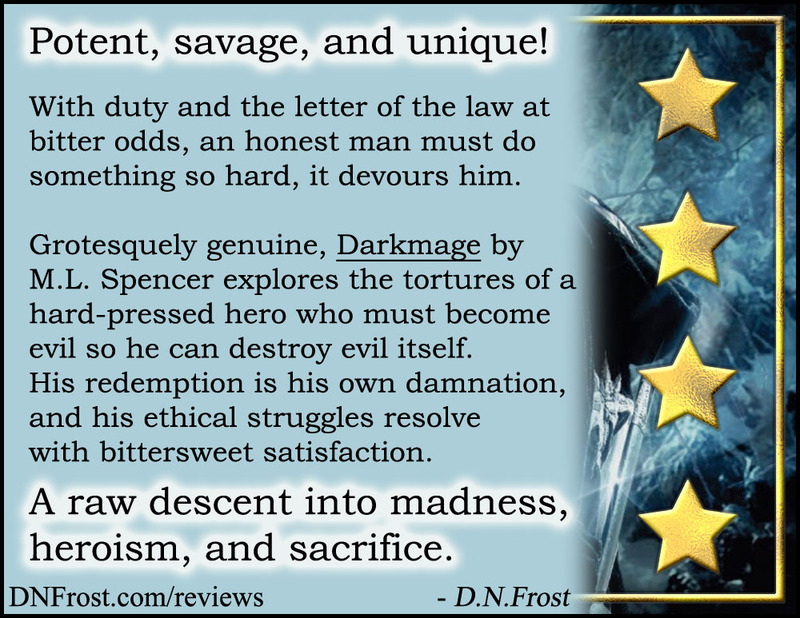 A proud and beloved theme in fantasy depicts the unwilling union of nations to defeat the most vile threat of all, and Spencer's novel Darkmage resounds with this triumphant reluctance. But unlike the infamous works of Martin, magic is more prevalent in Spencer's diverse society, and a number of her cultures have adapted to the presence of magic in everyday life. The magic of Spencer's world is itself a wonder. Of all the ways to express magic in a fantasy world, Spencer envisioned a planet pulsating with a magic field. Similar to the magnetic field of Earth, Spencer's magic field flows around the planet, all-encompassing but also variable. Earth's magnetic field fluctuates from place to place, stronger in some regions and weaker in others. Spencer's magic field follows similar force lines, converging into powerful vortexes in some locations and canceling out into magical dead zones in other places. I found Spencer's unique planetary field as a really great expression of magic, and I loved how she showcased the specific areas where the field was absent or too violent to wield. In the null zones with no magic, mages can neither be detected nor empowered by the magic field they rely upon so heavily. In contrast, the magic vortexes are cacophonies of flowing power, and mages foolish enough to draw in that power are obliterated in its wake. I love how Spencer's mages must take special care to shield their minds from the magic field within these vortexes, endangered by the very field that empowers them elsewhere. I was also delighted to meet the Jenn, a nomadic tribe of horsemen reminiscent of a now-extinct culture from Book One. I really liked that earlier culture, and I was sad to learn that after an apocalypse and a millennium, they had not survived. But though Spencer doesn't outline the history or ancestry of the Jenn, I have hope that they are somehow descended from that beloved tribe wiped out long ago. Other aspects of Spencer's world-building were equally delightful. Her numerous deities feature prominently in the cultures of the Rhen. 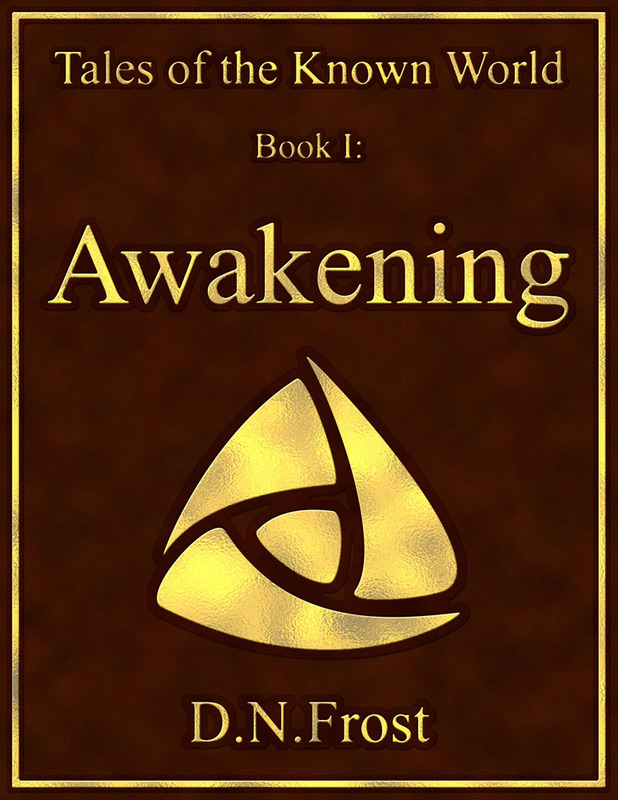 While there is no overt interaction with deities themselves, Spencer accentuates the reality of these gods through the magic and miracles witnessed in her unfolding tale. My favorite deity was Isap, the goddess of death, whose priestess is a prominent supporting character. The undeniable reality of the goddess's power gives credence to every deity in the Rhen, leaving the reader in true trepidation about the unknowable whims of very-real gods. Though Spencer frames the whole of Darien's painful quest in no uncertain terms, I was gratified by how much room for surprise she maintained within the story. And when Darien offered up his beautiful and poignant parting gift for the two he loved most in life, I loved how he graced them with an undying legacy that would both remind them of his love and remain with them for all their days, as he himself could not. Overall, this book was potent and raw, a laudable Book Two that makes me look forward to the release of Spencer's third and fourth in the series. Published first, this novel has been available for some time, so after I shared my finalized review with Spencer, I posted the review to Amazon and Goodreads. Darkmage by M.L. Spencer here. And be sure to subscribe to M.L. Spencer's reader group, if you haven't already! That's it for this post! Up Next: The third book in Spencer's saga... Coming soon.